See T.B. Walker for a description of Walker’s plans to turn St. Louis Park into an industrial town in which he controlled the land, the streetcar, and the factories. To house the workforce of his new industrial town, Walker built about 60 so-called “Walker Houses” west of the industrial circle in what is now called the South Oak Hill neighborhood from 1890 to 1898. Renting for $9-$14/month, the houses were nearly-identical, narrow, two-story affairs with two rooms up and two rooms down. They were heated by parlor stoves, and had no indoor plumbing. It appears that originally they did not have front doors, but doors on the side. If so, most have had front doors added later. Walker’s dream collapsed with the Panic of 1893, and he turned his attention to other endeavors. He was left owning (and paying taxes on) a great number of unsold lots. In the 1930s, the E.H. Shursen Agency (Earling Shursen) sold the last of them. The fire started in the shed of the house occupied by E.L. Soderlind, and had a good headway before being discovered. John W. Farber, lving upstairs, had a very narrow escape, and it was with difficulty he saved himself, wife and baby. They lost everything but the clothing they had on. Farber had a small insurance, the risk having been taken out the Friday previous. Soderlind saved some front room furniture, but everything in the back part of the house was destroyed. He had no insurance. The other buildings were occupied by Parker, Long, Blocker, Lund and others, but they saved most of their furniture. No one knows how the fire originated. Fires persisted – a resident of South Oak Hill remembers that a fire in the late 1940s burned many of them. 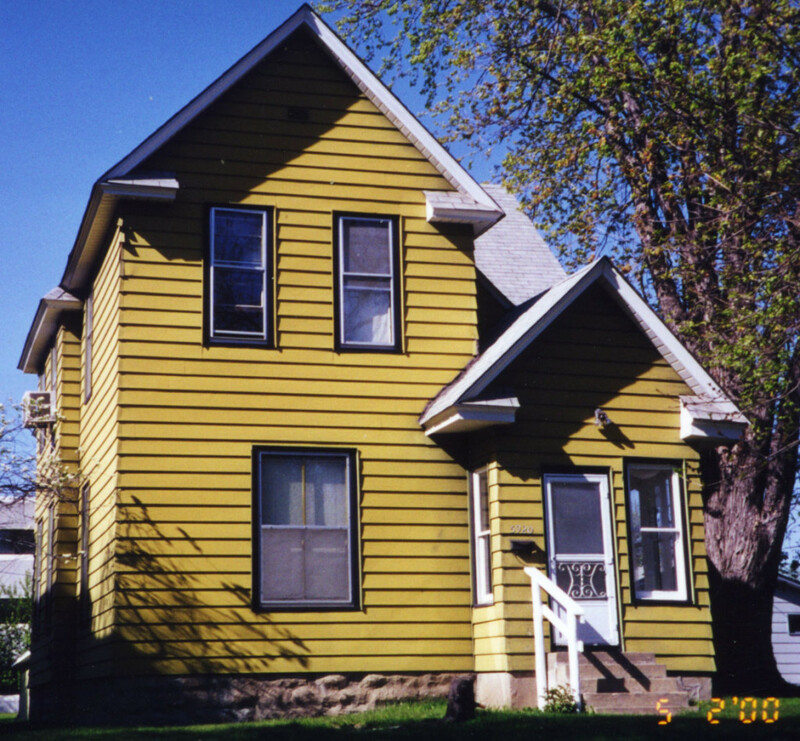 As of 1999 there were about 50 of them left, a few in near-original condition, and some modernized so thoroughly that they are unrecognizable as Walker Houses. Although the greatest concentration is on Edgebrook and North Streets in South Oak Hill, many have been moved from their original locations. (In 1926 there was apparently the need for an ordinance regulating the moving of houses, buildings, derricks, and other structures.) The house at 3750 Pennsylvania appears to be made up of three Walker Houses stuccoed together. The house below was at 5920 Oxford, built in 1893. It was demolished to make way for Village in the Park. The basic two-story structure appears to be an original Walker house. The front vestibule and additions to the back came later.